Here we go! Destiny 2’s second year is about to begin. In preparation for the big Forsaken expansion on September 4, 2018, Bungie has released Destiny 2 update 2.0. More than just readying the next expansion’s worth of content, this update also comes with the biggest set of changes to date. If you haven’t played Destiny 2 since launch, now’s the perfect time to come back (especially being free with PlayStation Plus) to experience all of the new changes listed below. Some of the highlights include a complete rework of the weapon system, giving players a lot more freedom to play the way that they want to. Due to these changes, the ammo economy has also been adjusted to account for the new loadouts. Tons of weapons, armor, and abilities were buffed, with just a few nerfs here and there to help iron out some of the wrinkles and power spikes that were overkill. The Director has been updated to account for the new Forsaken locations in the Tangled Shore and the Dreaming City. It also changed the way that Strike playlists work, including the Nightfall, and added a Heroic Story playlist so that players can revisit campaign missions on a harder difficulty. On particularly interesting change is an adjustment to the contrast and saturation to better fit the darker theme in Destiny 2: Forsaken. If you jump back into the Tower or run around Mars, you may notice a subtle shift in the way the game is visually presented now. Perhaps most sad of all, Cayde-6 has left the Tower to make his last stand in the Prison of Elders, an event we’ll see come to fruition next week. There is a known issue of Forsaken loot dropping early, but as the expansion itself launches on Tuesday, Bungie is unlikely to make any adjustments or fixes. It’s a long list, so you’d better hop in and get reading. Developer Insight: With Forsaken, we’ve made a major change to the systems—the freedom to slot powerful weapons in either the Kinetic slot or Energy slot. This fundamental change necessitated a fresh look at a player’s damage output in both PvE and PvP. Repulsor Force’s Weaken effect now also increases non void damage by 33%, but no longer stacks with other weaken effects. (Shadowshot,Hammer Strike, etc). Which change in Destiny 2 Update 2.0 are you most excited for? 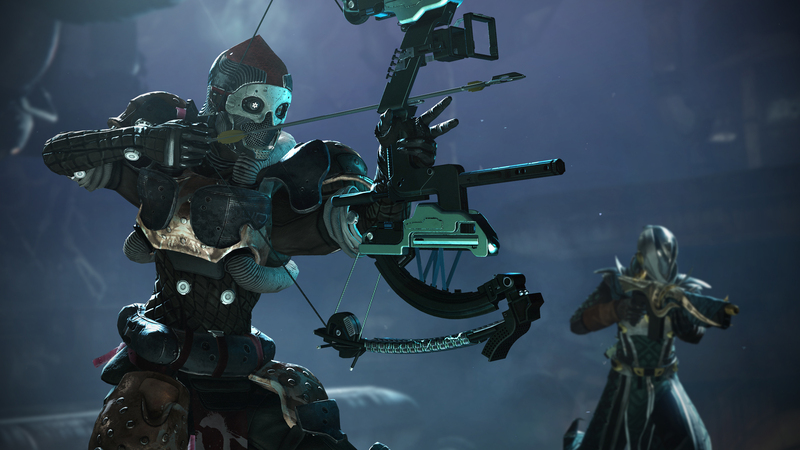 Will you be playing Forsaken next week? Destiny 2: Forsaken launches on September 4, 2018.